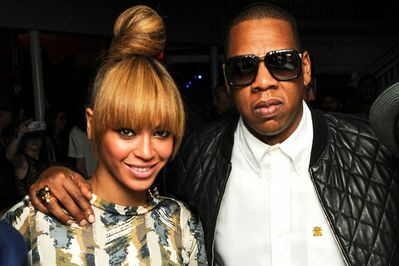 Beyonce and Jay-Z Planning on Adopting? Beyonce and Jay-Z definitely have a very beautiful family. The famous couple has a daughter together, but it seems that they may be ready to expand the family. According to some new reports, Beyonce and Jay-Z could be planning to adopt a child. The baby news came from OK! Magazine, which claimed that the popular couple is planning on adopting a baby immediately after Beyonce completes her latest tour, Formation. The new report claimed that the two famous musicians are determined to add another member to their family and want their 4-year old daughter, Blue Ivy, to have a sibling as fast as possible. The fact that the pair is determined to see this coming true has allegedly been proven by their decision to contact a private adoption agency. The report claimed that the famous pair has not excluded the possibility of welcoming a biological child. Actually, a source talking to OK! Magazine indicated that the two contacted the adoption agency, by they are still trying to get pregnant. It has not been revealed if a potential pregnancy means that they would drop the plans to adopt. As imagined, Beyonce and Jaz-Z have not addressed the baby rumors yet. However, if the couple plans on adopting a baby or not may be discovered in the near future, as the famous singer has recently completed her Formation World Tour. This means that Beyonce can focus now on her family life. Well, as always, the baby claims were dismissed by Gossip Cop. The celebrity site claimed that none of their sources confirmed that Beyonce and Jay-Z were planning on adding a new member to the family. In fact, the site claimed that one insider close to the couple actually dismissed the baby report.